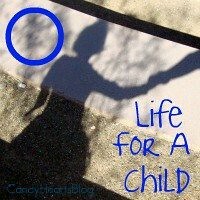 This a Blog for Type 1 diabetics, Campers, outdoor enthusiasts with diabetes and all sorts of stuff for anyone that likes to be outdoors. I have lots of Product reviews for outdoor diabetics, Suggestions for Diabetics, and fun diabetic items. I have always had a love of BBQ but I have always loathed what it did to my less than perfect care of my diabetes. Not that I have ever really deprived myself of the tender slow cooked meats that are yummy to my tummy but what I did was limit my eating of BBQ. Reserving this fatty delicacy for limited special occasions with friends. This was all good with me because we all understand that diabetes is a disease of constant let downs, people monitoring us, public humiliation, and daily struggles. I set up my BBQ colander schedule a touch lower than my fried chicken schedule which is once a quarter. So BBQ was more like twice a year. This made me choose to only go to the best places for BBQ and for occasions where I really wanted a 24 hour struggle with blood sugars on a rocket shooting for the sky while I tried to figure out the carb count on the sauce, fat, protein, and mysterious other things that might be in a particular style of meat (plus I can't seem to avoid a heaping amount of cobbler with BBQ, but lets not focus on that issue today). Recently I had one of those "Ah-Ha" moments in my life while on a trip to the hill country in Texas with my lady friend. I realized that if I have a more German style of BBQ which consists of a dry cooking method and the BBQ is served with a vinegar sauce then I am practically eating zero carbs and if I limit myself to one serving of quality cobbler than it is actually simple to have a steady 150 blood sugar after eating and keeping them there for the next day. 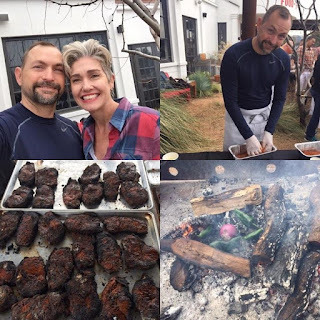 Last Saturday my lady friend and I attended a BBQ, grilling, outdoor cooking class where the world renowned chef Tim Byres taught us how to cook steaks and vegetables actually in a fire. Not on a grill, or in a smoker, but throwing them straight into the coals of the fire. We learned about making dry rubs and how cooking doesn't have to be a sanitized clean event all the time. I would say that this was the "Ah-Ha" door opening up even more where now we can grill more flavor with less carbs and with less fatty meats then just BBQ. I know this seems like a lot of rambling from a less than perfect diabetic to those of you out there who are excellent at depriving yourself of certain foods, and can exercise multiple times a day and have an A1C below 5.0 but for those of us that like a healthy 7.0 on up A1C and enjoy living all of life to the fullest and not skipping out on any part of it and eating a variety of food, I hope you see that if we just change how we look at something we can make it work. Keeping an open mind and positive attitude towards the dark side of diabetes will put more victories in your life and obstacles will change into opportunities of fun. Ill cook you low carb BBQ, chase them down with a couple Miller Lites. I got you little brother.